Most common type of liver cancer is the Hepatocellular carcinoma. It is usually common in men when compared to women and mostly seen in people above 50 years of age. The most common cause of hepatocellular cancer is liver cirrhosis. The symptoms of Hepatocellular carcinoma are yellowing of skin and eyes, enlarged abdomen with pain. It is also considered as primary malignancy of the liver. Hepatocellular carcinoma is the 3rd most leading cause of cancer deaths worldwide. Persons with hepatitis-B and hepatitis-C are more prone to Hepatocellular carcinoma. In the earlier stage the tumor can be cured by liver transplantation. 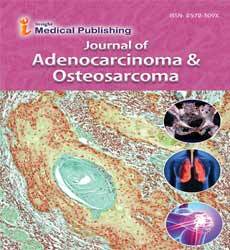 Hepatocellular carcinoma journals deals with complete information about liver cancer. Cancer Science and Therapy, Cancer Medicine, Integrative Oncology, Hepatocellular Carcinoma, Hepatocellular Carcinoma Radiation Therapy. Hepatocellular carcinoma is a primary cancer of the liver and occurs predominantly in patients with underlying chronic liver disease and cirrhosis. The cell of origin are believed to be the hepatic stem cells, although this remains the subject of investigation. Tumors progress with local expansion, intrahepatic spread, and distant metastases. In general, the tumors are discovered either during routine screening or when symptomatic because of their size or location.